Perl is an interpreted programming language and this language easily gasped by newcomers of bioinformatics field. It connects the software applications together into sequence analysis pipelines, converts the file format and extracts the information from output of analyzed programs. Bioperl is a collection of Perl modules and provides easy to use, stable and consistent interface for bioinformatics application programmers. It is an open source software projects supported by Open Bioinformatics Foundation. It started in 1995 by a group of scientists tired of rewriting BLAST and sequence parsers for various formats. Bioperl has been used worldwide in small academic labs and large pharmaceutical companies since 1998. It is the oldest, most downloaded package among bioinformatics packages currently in use. What makes Bioperl so useful for Bioinformatics??? Bioperl includes a wide array of utilities for biological and bioinformatics analysis. Utilities including databases used for bioinformatics information, analysis routines for genomics, proteomics, and evolutionary studies. It is capable of analysing the results from bioinformatics programs such as BLAST, Tcoffee, GenScan and ClustalW. We can do assessing the sequence from local and remote databases, transforming formats of database/file records, manipulating the individual sequences, searching for similar sequences, creating and manipulating sequence alignments, searching for gene and other structure on genomic DNA and developing machine readable sequence annotation with the help of Bioperl. The Bioperl modules have been used to reduce otherwise complex tasks to only few lines of code. The best solution for bioinformatics problem is hybrid of multiple tools. These tools written in different programming languages like C, Java and Python, can be used in a Perl program simply by invoking them. Bioperl provides software layer that can populate a database with the sequence information that can be assessed and used to generate an interactive graphical interface provided by Biojava toolkit. Bioperl will perform better than Biojava when processing small data set. It is very powerful for string manipulation, compared to Biopython and Biojava. It requires shortest lines of source code as compared to Biopython and Biojava. In future Bioperl will continue to evolve, addressing the more aspects of bioinformatics. Stajich, Jason E., David Block, Kris Boulez, Steven E. Brenner, Stephen A. Chervitz, Chris Dagdigian, Georg Fuellen et al. 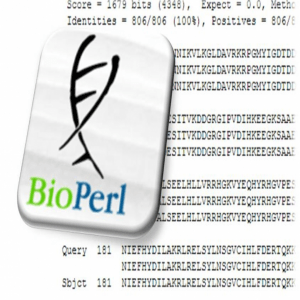 “The Bioperl toolkit: Perl modules for the life sciences.” Genome research12, no. 10 (2002). Ryu, Tae-Wan. “Benchmarking of BioPerl, Perl, BioJava, Java, BioPython, and Python for primitive bioinformatics tasks and choosing a suitable language.” International Journal of Contents5, no. 2 (2009). Crossman, Colin, and Arti K. Rai. “A Brief History of BioPerl.” (2005).